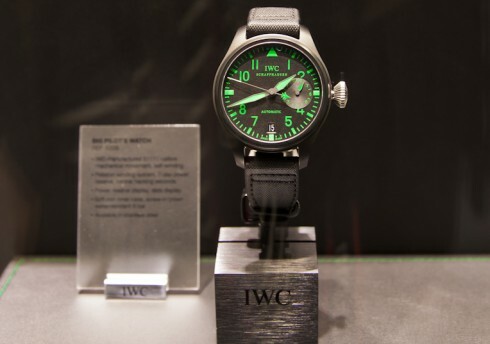 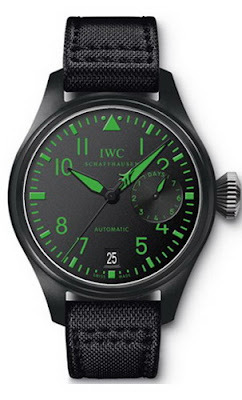 "IWC is almost done offering visitors to Harrods in London its exclusive two-week preview of three eye-catching limited-edition timepieces from its Top Gun. 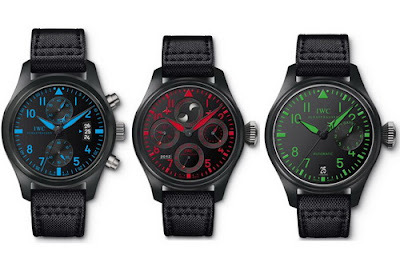 The models been on display since Feb 18: a Big Pilot chronograph with blue superluminova dial, a Big Pilot with green dial, and a Perpetual Calendar with red dial. Official launch is July 2013, at the famous London department store..."